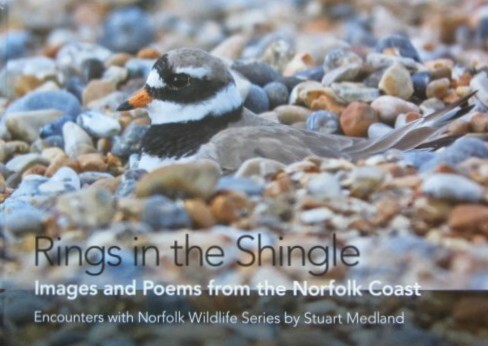 These two wonderful Norfolk wildlife books called "Rings in the Shingle" and "The Worshipful Companies" are a fantastic collection of stunning wildlife photographs, stimulating and enlightening prose and poetry in the “Encounters with Norfolk Wildlife” Series by Stuart Medland. 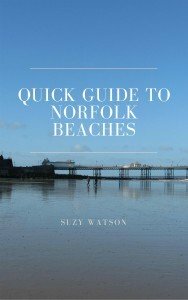 I fell in love with these books the minute I saw them, and if you love Norfolk, love the wildlife and love the coast, heathland and woodland, then I know you’ll love these books too! Because they’re more than just wildlife photography books; they’re visually aesthetic but also very informative and interesting about the photographed subjects and also how and why the photos were taken. And to cap it all, Stuart has written some wonderful poems to complement the photos. Now I have to confess here, I’m not a great lover of poetry but I have been won over by Stuart’s poems! 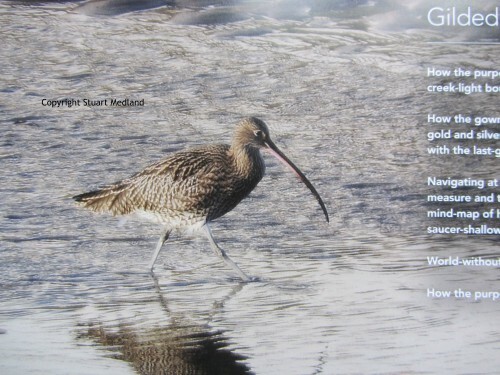 They articulate exactly what he was thinking when he was watching and photographing each species, and therefore, as far as I’m concerned, make the reading of these poems fascinating and thought provoking. They are entirely complementary, so the poems and the prose were born out of the photo and the experience. And in their entirety, they are a work of art in their own right. Often we look for something special and different to have for ourselves, to give as a gift to someone or to take away a souvenir from our holidays. These Norfolk wildlife books fit into all of those categories. They are a fantastic coffee table book but at the same time something you want to read. 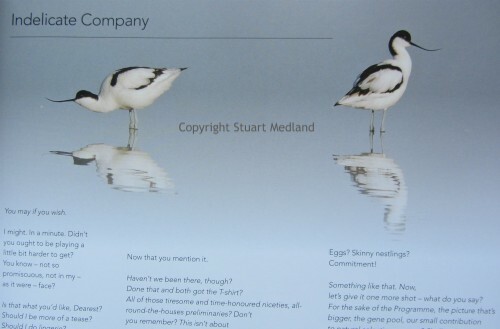 These wildlife books are completely different to any other Norfolk wildlife book you will have come across and are born out of a love, by Stuart, for the North Norfolk coastline – and you all know how beautiful that is! On the one hand Stuart has taken some brilliant photos of the wildlife he has encountered in Norfolk, mainly on the North Norfolk Coast and has added to those photos some poetry which is inspired by his photographs and, he hopes, captures the essence of the wildlife, which in my opinion I think he does incredibly well. That’s what I love about these books; apart from being visually aesthetic, the prose about each particular species is actually very informative and just the right amount of information to perhaps inspire you to go and see if you can find some of these birds too. For instance, did you know that the Egret is “one of the last birds to call it a day and go to bed”? And to finish off the prose, there is more short narrative about how or why he took the photo, always a fascinating insight. If you love photos of some of the amazing Norfolk wildlife, and at the same time like to learn about the different species you’ll encounter here in Norfolk, then you’ll absolutely love these books, and I say this from my heart. 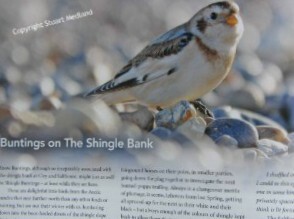 There are over 80 stunning photographs in both Rings in the Shingle and The Worshipful Companies. The concept of these wildlife books started out with a completely random choice of wildlife. 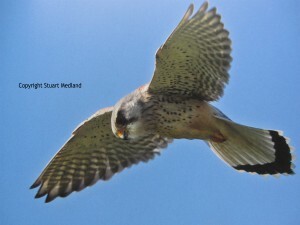 It very much depended on when Stuart managed to photograph the wildlife at his favourite haunts; you can read a little more about the individual books here. Both wildlife books are composed purely of a personal and random choice of subjects very much dictated by what he has managed to capture on film. The titles of the books, “Rings in the Shingle” and “The Worshipful Companies” are very apt and start the imagination working straight away. You mustn’t confuse or compare these books to comprehensive bird books which give you all the information you need to know about breeds, colours, region etc. That isn’t their purpose. You’ll see why this is the case when you read my interview questions with Stuart below. 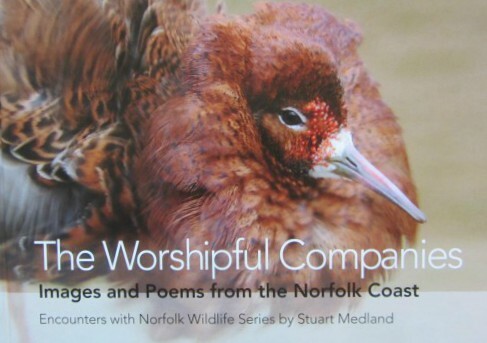 These two wildlife books are based purely on Stuart’s love of Norfolk and going out and photographing what he sees on the coast, heathland and woods. Much of the wildlife that he captures is iconic Norfolk wildlife, such as the knot, avocet and curlew, but there are others that are more difficult to capture (well I never see them!) such as the buntings, linnets and wheatears to name but a few, and he also strays into butterflies, hares, the sea, and seals. 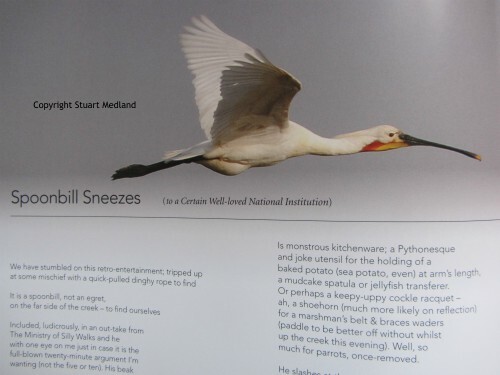 Stuart was a Primary School teacher in Norfolk for most of his life but has now retired, giving him time to pursue his passion for poetry and natural history. I asked him a few questions and here are the answers he gave me. Question: You obviously love writing poetry, do you write most of the poems when you are out photographing the birds and do the thoughts come to you as you are photographing, or do they come to you when you're in front of your desk with the photos? Answer: It's all about the wildlife 'encounters' themselves in the first instance, I guess - and there are plenty of times when I'm unable to record such an experience photographically but will still want to write about it. On those occasions when I am able to photograph the subject/s of such an encounter, then the images will help to inspire the poetry when I'm back at my desk and will often take it in a very particular direction. The idea for the books evolved from what I realised was a happy juxtaposition of the two - and I included the prose to complement the poetry and images. I often have the germ of a poem, one or two poetic ideas, at the time of the 'encounter', or just after, whether a photographic one - or not. Question: What is the longest time you’ve had to wait to get a good photo? Answer: I will only include photos from 'encounters' I happen to have had whilst in my favourite haunts. I won't actually go looking for subjects I think ought to be in the book - so that there are rarities which I have never seen which it's possible that 'advanced birdwatchers' might expect to find within its pages. I just hope they're not too disappointed! It is a very personal mix and by no means definitive. Question: Is there anything you haven't photographed but would have liked to? Answer: I would quite like to have been able to photograph a Merlin and/or a Red-backed Shrike, both of which I have encountered while birdwatching, but for the first book it wasn't to be. And photos I did take of Scoters (a kind of sea duck) some way off Blakeney Point, which might have made the second book, were simply not good enough. Question: Where is your favourite place to photograph or watch wildlife in Norfolk? Answer: My favourite place is Burnham Overy Staithe, though I love Holkham and Thornham as well. Question: When did you first start photographing wildlife? Answer: My first attempts at photographing wildlife began after a very close 'encounter' with a Marsh Harrier soon after I moved to Norfolk with my young family in 1981. I determined at that point that I would have a camera of some kind with me at all times. This is Stuart’s first wildlife book in the series of “Encounters with Norfolk Wildlife”. What he has tried to do, and I think he encapsulates this very well, is photograph random species “as he sees them”. In other words, to capture the essence of a wildlife encounter. And we all know how random nature and wildlife can be. One day you might be walking the Norfolk Coast Path and see nothing, another day you’ll be inundated with birds. Both of these books can be purchased through Amazon here. The Worshipful Companies is his second book and has evolved somewhat. 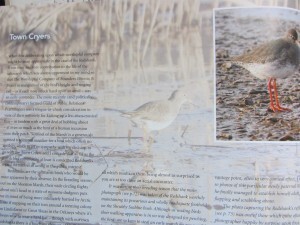 The original title for the book was Worshipful Companies of Curlew before it occurred to Stuart that these ancient Livery Societies might well apply to all other saltmarsh species in their flocks. 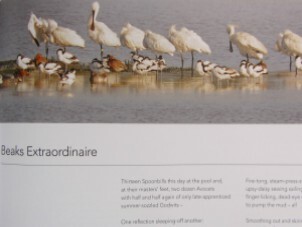 For example, the spoonbills, which Stuart sees as the Cordwainers Livery Company, very much reflect the unique shoehorn-like bills, and the Redshanks, noisy little birds, he sees as the Town Criers. Both of these books are published by Brambleby Books. You can read more about The Worshipful Companies here on Amazon. My verdict on these wildlife books: I absolutely love them. I think they’re really beautiful books but at the same time very interesting and a real pleasure to browse through and actually read. These wildlife books make a really fantastic present, a reminder of your stay in Norfolk, but more than that, they are really lovely books for you to have and peruse at your leisure if you live in Norfolk.